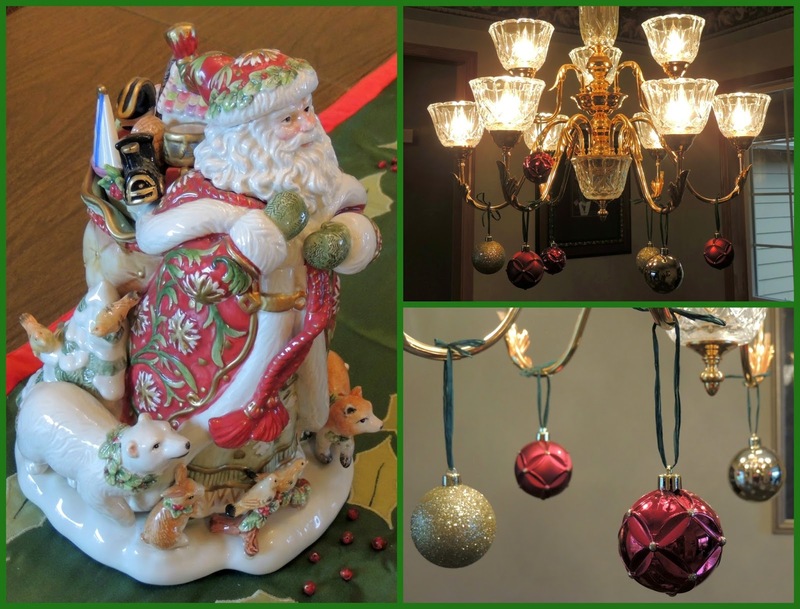 Today I'm linking up with the Style Me Bloggers for a Christmas Home Tour. 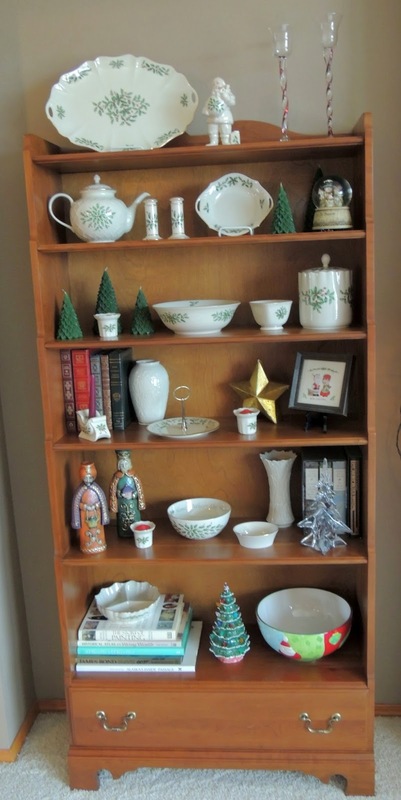 I've been looking forward to this post for awhile, because I can't wait to see how everyone decorates for the holidays. Before we head inside, a few disclaimers. My camera was on the wrong setting when I took all of my pictures, so I apologize because they are a bit washed out. Second - this post could have gone on forever, and nobody has time for that! 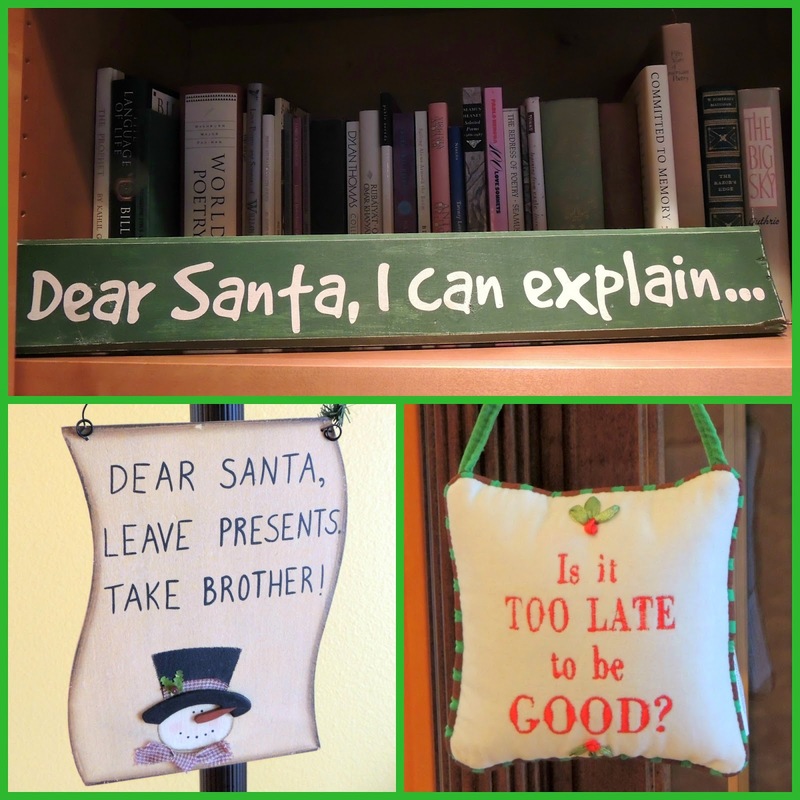 I have so many decorations with so many stories, but I tried to be brief. As you come in the front door, a staircase down to the basement is on the right, and the living room is straight ahead. I wrote about this Christmas tree a few weeks ago. There are finally a few presents underneath - but only because my mom sent them! I love this mantle. My hubby bought this Russian Santa and the porcelain reindeer years ago, in a little Bavarian town called Leavenworth, about two hours from here. To the left of the entryway is the dining room, which honestly needs some work. I saw this pretty idea on Pinterest to hang balls from the light fixture, and I really like how it turned out. Down the hall is the kitchen and great room. We have a second tree in here to hang all the ornaments that have been banished from the Lenox tree :)! It definitely has an overriding "boy" theme, but I managed to sneak a few ornaments of my own on there! 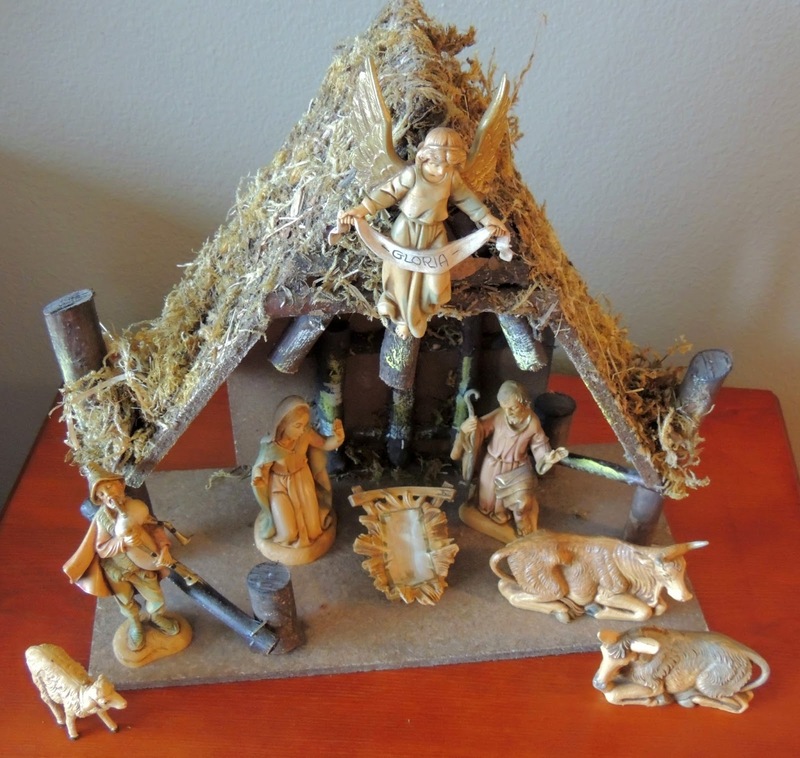 The Christmas Creche. I have a confession to make - I have lost baby Jesus. Every year when we decorate, I put baby Jesus in a safe place. On Christmas Eve, after church, we move him to the manger, because he has been born. Except last year I couldn't remember where I put him. I figured he would appear when we undecorated - but he didn't. My sister thinks maybe the dog ate him - I'm blaming it on old age brain. In any case, I need to go online and try to buy a new baby Jesus - because honestly, he's the whole point. And finally, these little signs were all collected when the boys were young. I think they're pretty self explanatory :). 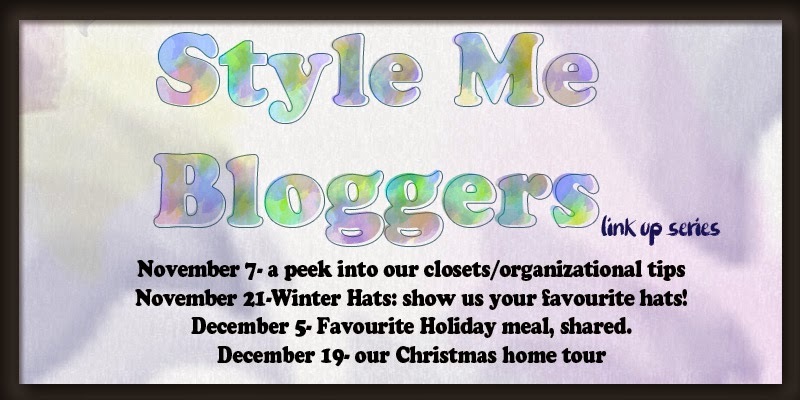 Please check out the other Style Me Bloggers and see how they have decorated their homes for the holidays! 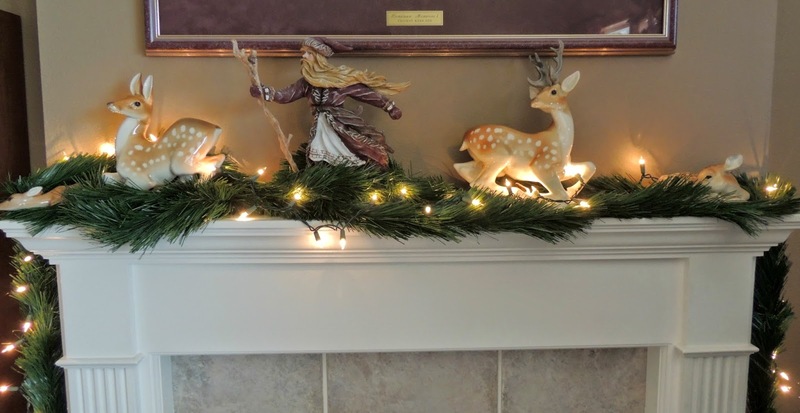 I love the reindeer n the mantle! I saw one a few weeks ago and talked myself out if it. Wish I hadn't now! I love those reindeer, but I'm so afraid I'm going to break one! 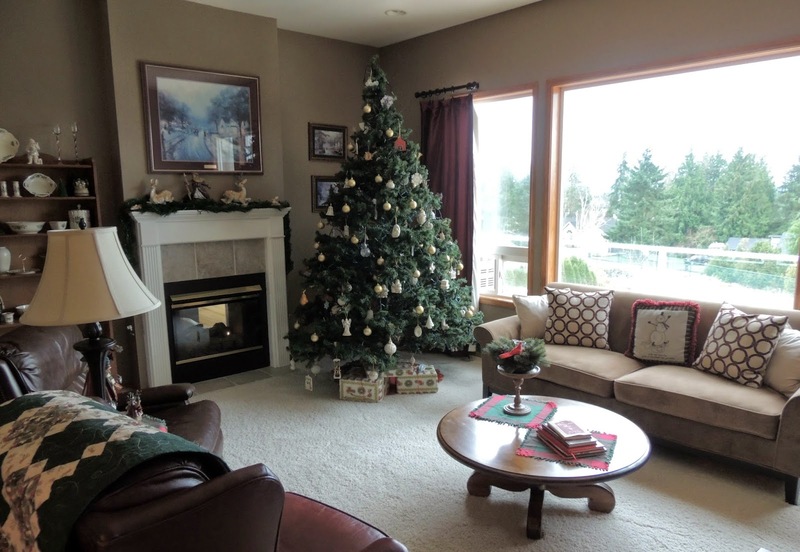 Your home looks so festive and cozy! 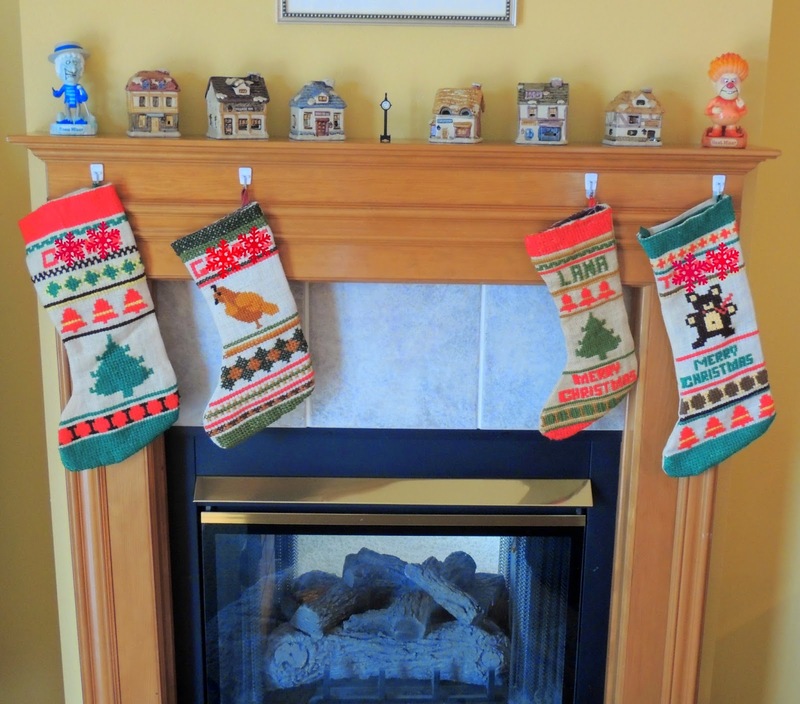 Love your mantel decorations! Thanks Jill. I'm always so sad to take everything down. Your home has such a cozy feel to it! Thanks - you should come visit sometime! 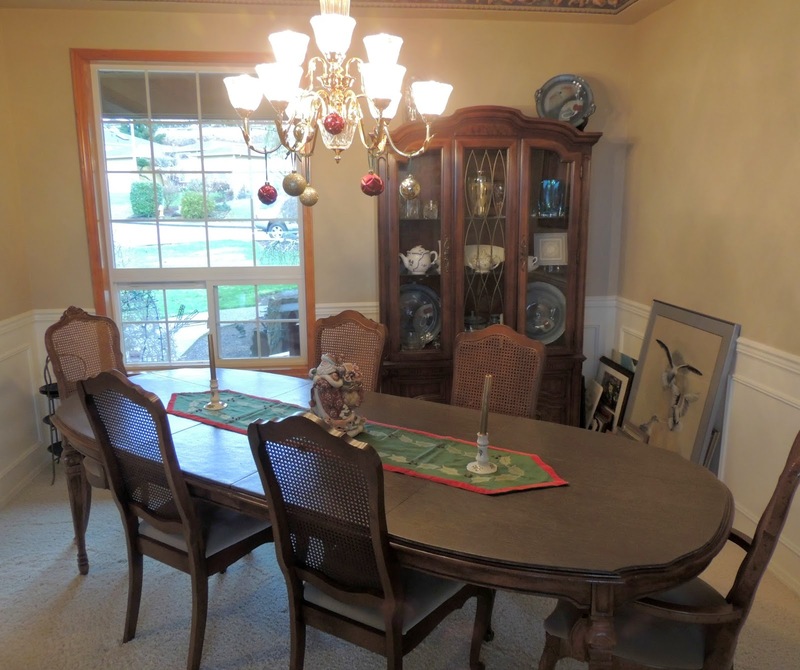 I love looking at Christmas decorations and homes....thanks for the beautiful peek! So glad you stopped by to visit! You have a beautiful home Lana and your decorating is fabulous. I am a slacker this year, I did put up some decorations and the tree but that's about it. I love those signs from when the boys were young!!!! I sincerely hope you have a terrific Christmas and New Year's!!! I'll be posting a Merry Christmas post on Monday at TDAC but that is it from me until after New Year's! (except email of course)! Can't wait to hear what Santa brings you! Rena, you are the sweetest. I hope your Christmas is so wonderful with those new babies. Can't wait to see what you have in store for the new year! Oh dear! I hope the dog didn't eat baby Jesus. Maybe he will still turn up. Everything looks so fresh and lovely. I love your mix of meaningful decorations. I'm always on the look out for baby Jesus. If the dog ate him, it's a lost cause! Your house is lovely. And adorable! I love these tours. They are a glimpse into the lives of my favourite bloggers! Thank you Diane! So glad you liked it! Russian Santa's name is Ded Moroz!!! (which means Grandpa Frost)!!! :)))) I love your house!!!! And I like how you decorated it! I love looking at every little detail!!! I'll tell my husband about Russian Santa's name. Thank you for reading! Your house is beautiful and I love seeing it decorated for Christmas! So fun to see where you live! Thanks Marie. 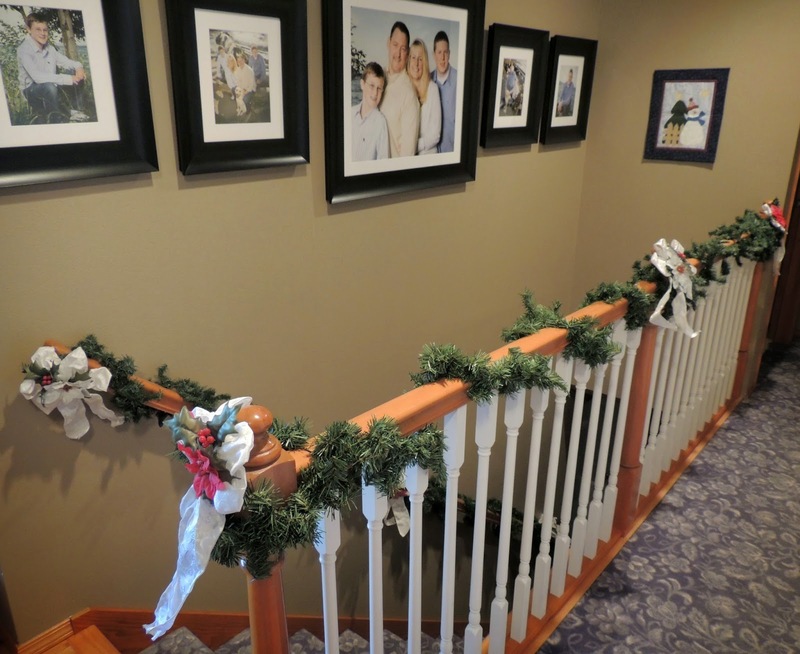 It's fun to decorate but no fun to take down! So very lovely, Lana! I just love your mantle and the beautiful Santa. Everything looks so cozy and festive! I have thoroughly enjoyed this Tour of Homes Series! Thank you for sharing. So glad you stopped by and visited! 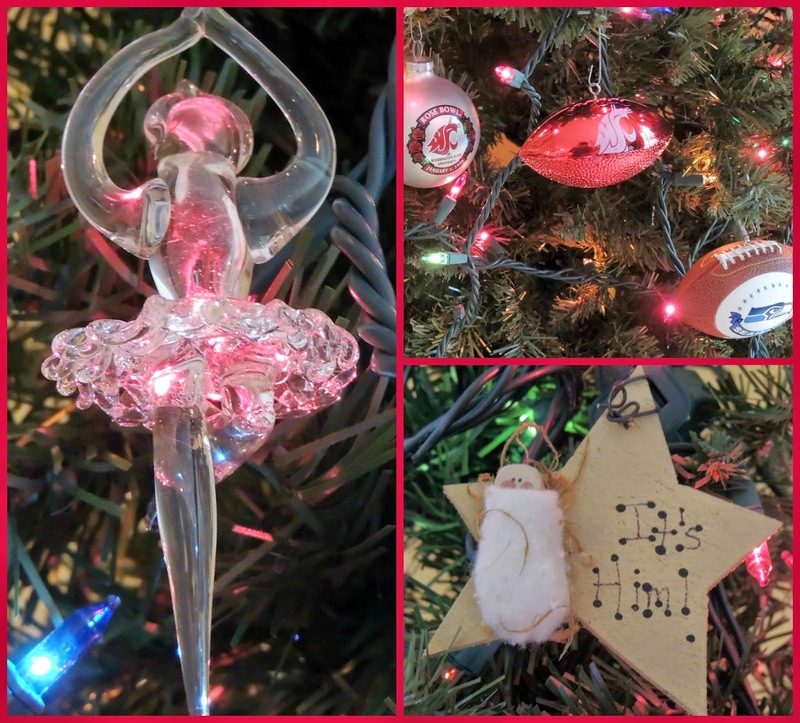 your home is so beautiful and the decorations are wonderful!! I'm loving the sneak peak into everyone's home! I know, isn't it fun. I'm loving it too. Where do I begin? I guess with the front door. 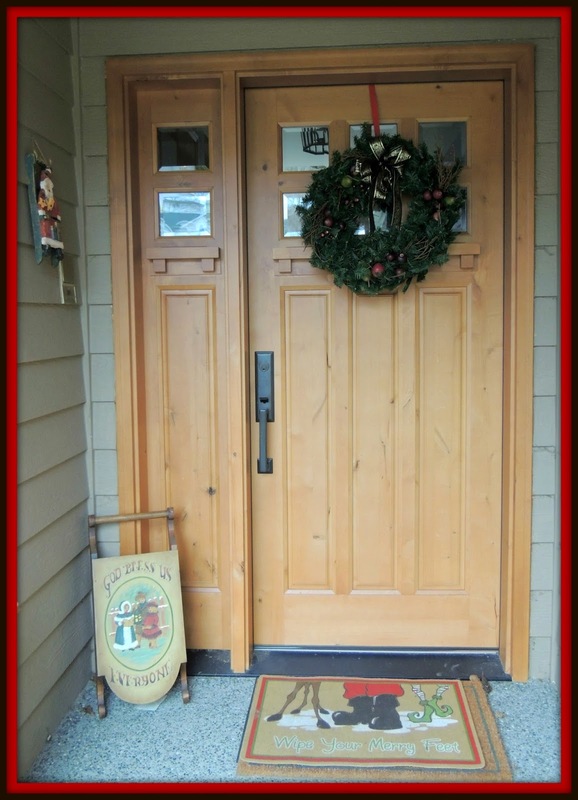 Love the welcome mat and the sled. I guess I could save time and just say I love everything. The Christmas china. The two trees. Your ballerina. I have a similar one. Your arrangement of snowmen (the melting one is especially dear). Love the idea of hanging ornaments/balls from the chandelier. I might do that with snowflakes!!! Oh, Lana, everything is just so warm and welcoming. Can I come over for cocoa? You are welcome to come to my house anytime! Thank you so much for the nice comment. Isn't that melting snowman cute? His sign says "it's been nice". P.S. Do you watch The Bachelor? I watched it for years but gave up when Juan Pablo was on. He was just yuck. 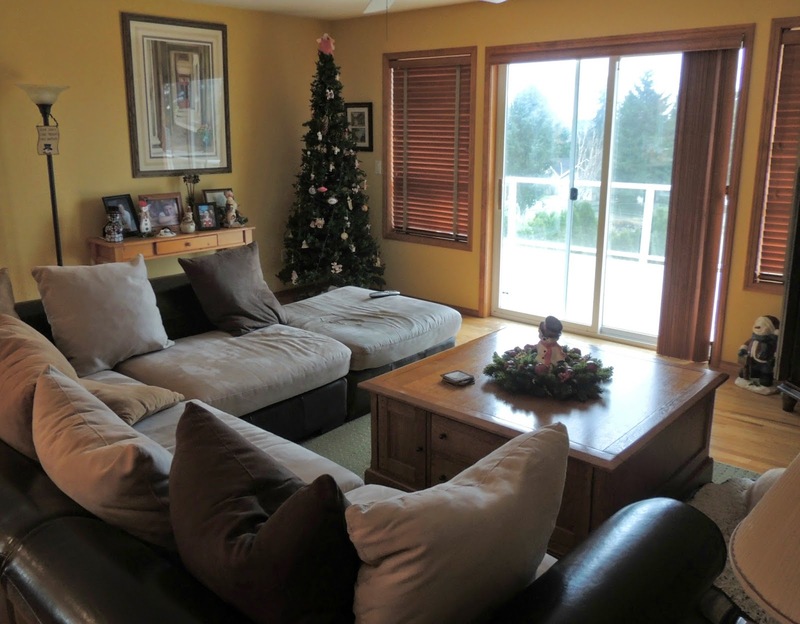 Your home is so beautiful Lana, and you have decorated it so lovely for the holidays. 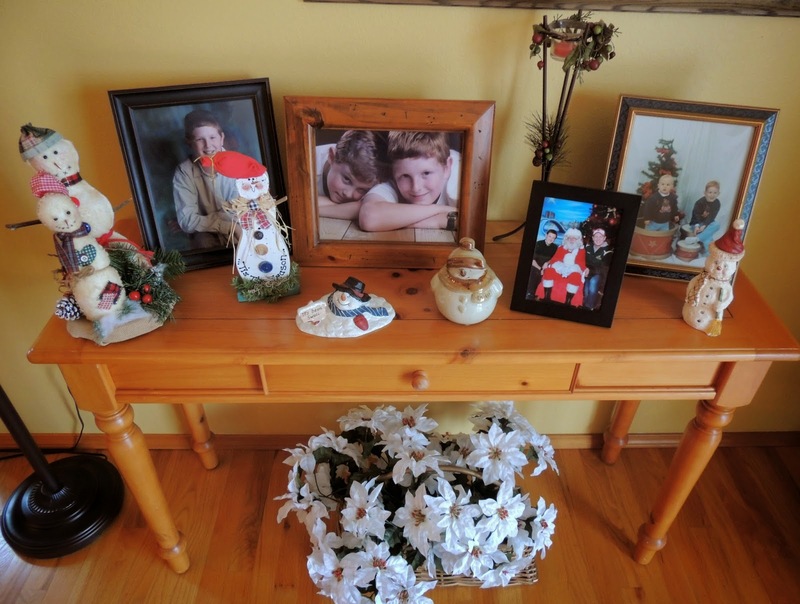 I really feel as though I have been over for a visit - and loved seeing your treasured keepsakes. I am sure that Baby Jesus will turn up somewhere (!) I hope so - because your creche is gorgeous. I think baby Jesus may be gone - but I will keep looking! Hopefully you will get to visit someday. Hope your holidays are wonderful too! Lana your home is beautiful! 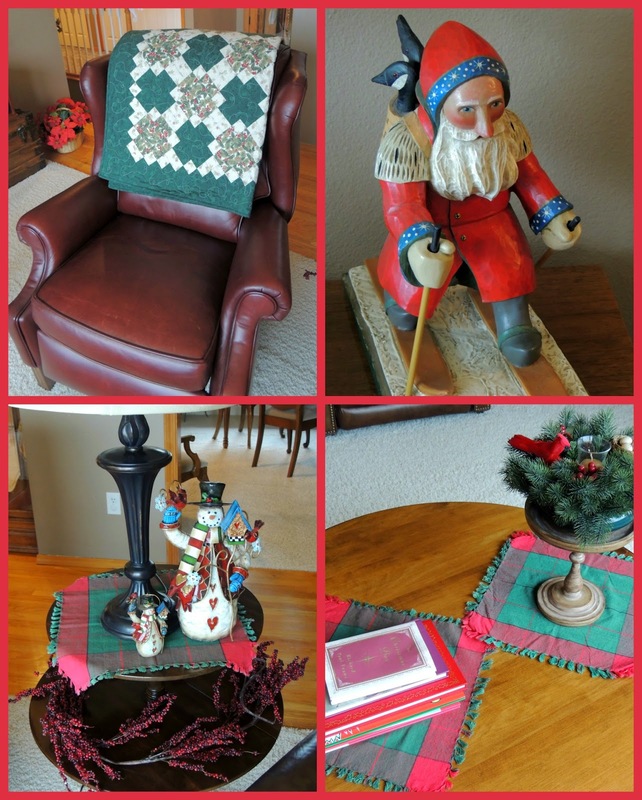 Love all your decor...both Christmas and all the rest!!! Really cute signs too! One day you'll find the baby Jesus!! I hope so Katie! Thank you. Thank you! We should sit in there more often!